First settled in the 14th century Yuan Dynasty, Dashilar became a prosperous business district in the Qing Dynasty before falling into decrepitude in more recent decades. 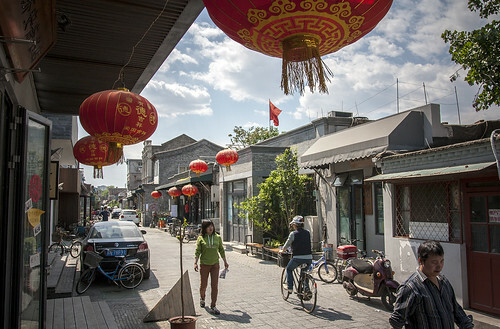 A 1990s attempt to revive its main shopping strip, which is lined by century-old laozhihao businesses selling tea, silk and medicine, succeeded only in turning it into a tourist trap. Five years ago, Dashilar’s future was uncertain. 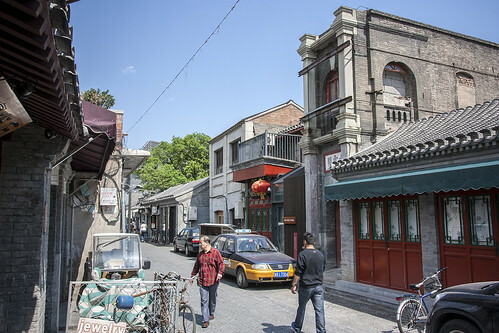 Nearby Qianmen Avenue had been destroyed and rebuilt as a widely-criticised historical theme park and there were concerns that Dashilar would follow the same path. A state-owned developer, Guangan Holdings, had already begun acquiring buildings around the area. That’s when a group of architects decided to preempt any demolitions by convincing the developer to revitalise the properties one building at a time. 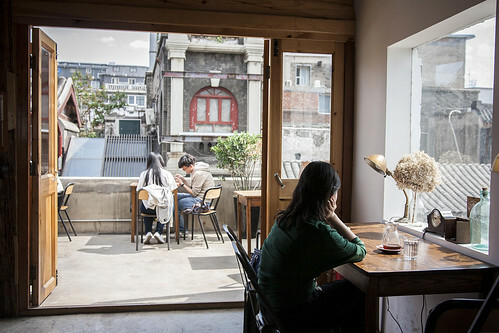 That’s when Chen became involved, dedicating a portion of the first Beijing Design Week, in 2011, to pop-up shops and temporary installations around Dashilar. “When I first told all of my colleagues that we were going to do this, they thought we were crazy. Some of them laughed it off,” says Chen. 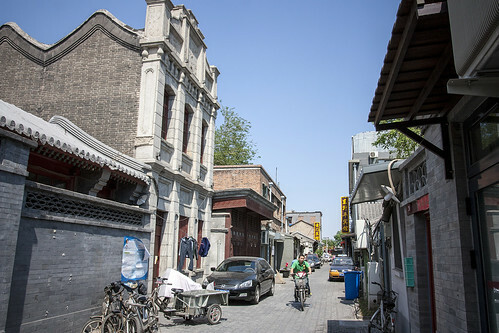 Gaddes says that Beijing Design Week is run by a “huge government department that is really conservative,” so it took a lot of effort to convince them to pay attention to a run-down part of old Beijing that many locals thought should be wiped off the map. The effort paid off. Beijing Design Week is now gearing up for its fourth edition, in September, and Dashilar has become an integral part of its activities. “What we started last year was an attempt to work on a longer-term basis, because you can’t renovate a building or help a community in just one week’s time,” says curator Beatrice Leanza. Along with ephemeral installations and one-off interventions, last year’s Design Week included the launch of five permanent businesses, including Soloist, that have taken root in vacant properties around Dashilar. One of the most prominent is Re-Up Space, the brainchild of British Chinese designer Lin Lin Jacobs. “I sold my house in London to do this project – I’ve put almost everything I’ve got in it,” she says. 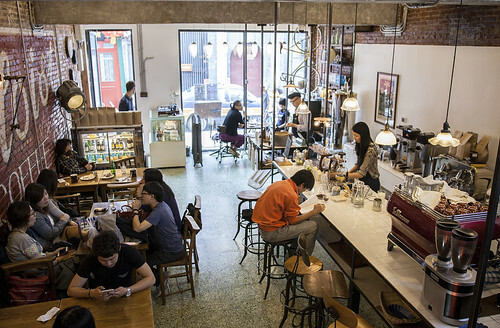 Located inside an Art Deco building that was a former relay device factory — “it’s an electrical box that prevents short circuits,” explains Jacobs — Re-Up is at once an event space, a showroom for Jacobs’ line of upcycled furniture and a home for her restaurant-café, A Spoonful of Sugar, which will soon obtain much of its produce from a recently-completed rooftop farm, where Jacobs is raising catfish, pumpkins, tomatoes and herbs. “I wanted to communicate an idea of green living in a way that is really easy to understand,” she says. That starts with her furniture, which is made from reclaimed wood, with allusions to Dashilar’s long and complicated history. “They all look really old but there’s always a little surprise,” such as a dining table whose central panel flips upside down to reveal a mahjong table, and whose legs open to provide cupholders and ashtrays. Another Art Deco-inspired table, made with wood, black stainless steel and two-toned copper, contains secret pockets for cutlery, which Jacobs says was inspired by the prostitutes who worked in Dashilar when it was a red light district in the early 20th century. Part of the biggest challenge of working in Dashilar has been tapping into the local community. The newcomers are tight-knit — “They come for brunch on the weekends,” says Jacobs — but longtime residents have been more sceptical, partly because they long expected to be kicked out for redevelopment. “A lot of them were just sitting there waiting to be bought out,” says Gaddes, and a complicated system of property ownership created tensions over the amount of compensation residents would get if the neighbourhood was razed. Now that it is clear that a Qianmen-style mass eviction is not in the works, he says, “the next phase is getting them to really invest in the renewal, not so much monetarily but with their support.” Beijing Design Week is now pairing designers with Dashilar craftsmen to help them modernise their crafts and find more outlets to sell their services and products. 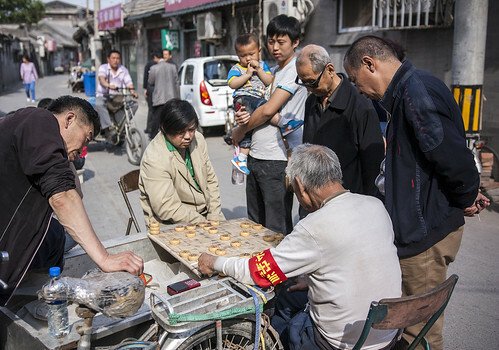 Another initiative will help shore up some of the area’s venerable laozhihao. “Some are doing really well but a lot are struggling,” says Gaddes. Overshadowing all of this is the spectre of gentrification. 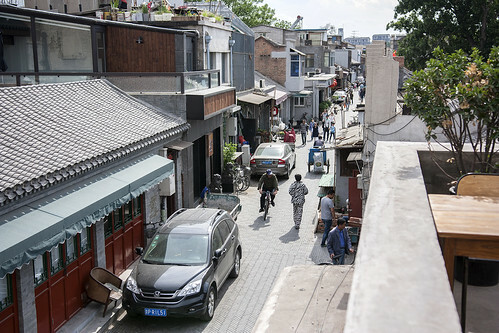 Whereas the tabula rasa redevelopment of Qianmen represents one extreme, the commercialisation of many Beijing hutong neighbourhoods is another, with formerly quiet streets now thronged by chain stores, weekend crowds and vendors hawking cheap trinkets. “What we’re trying to do in Dashilar is negotiate the good aspects of both bottom-up and top-down development,” says Gaddes. 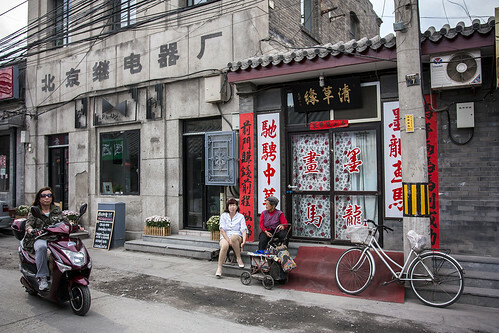 If they succeed, Dashilar could serve as a new model for the revitalisation of Beijing’s historic neighbourhoods — not to mention a cool place to live and visit. 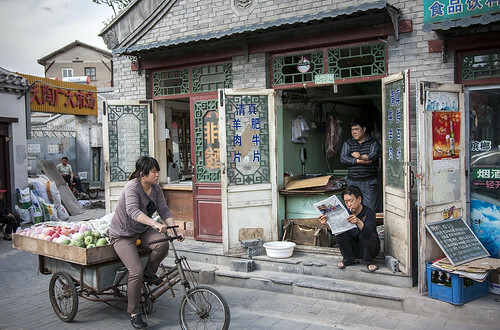 “It’s probably the only place in Beijing where you can see so many layers of the city’s history all at once,” says Chen. Now there’s a new layer to explore. This entry was written by Christopher DeWolf , posted on Thursday July 31 2014at 12:07 am , filed under Architecture, Art and Design, Asia Pacific, Heritage and Preservation, History, Interior Space, Public Space, Society and Culture and tagged Beijing, Beijing Design Week, China, Conservation, Dashilar, Exploring the City, Gentrification, Hutongs, New Life in Old Beijing, Preservation, Redevelopment, Revitalization, Urban Renewal . Bookmark the permalink . Post a comment below or leave a trackback: Trackback URL.